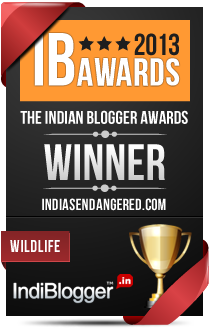 Amrita Sharma reviews for India’s Endangered, Tigers for Dinner by Ruskin Bond. Mehmoud wasn’t just any run-of-the-mill khansama doling out delectable koftas, lamb chops, puddings and milkshakes to the Bond family. He was a Story-Teller Extraordinaire who, thorough his fascinating tales of adventure in the wild, worked his way to the heart of the lonely 6-7 year old Ruskin Bond. Prior to coming into the employment of the Bond household, he had worked as a khansama for the well known hunter, conservationist and naturalist, Jim Corbett. This proximity to the great hunter of Man eaters gave Mehmoud a license to tell ‘tall tales’ to the impressionable Ruskin who gleefully lapped them all up. And aren’t we lucky that he did?! Because so many years later those tall tales resurfaced and became the inspiration for the present book. It is our turn, now, to devour them. This collection of seven very short stories is an extremely quick read. I finished it in less than an hour. Although it has been written with young readers in mind, adults will also find delight in reading these tales of awe-inspiring and heroic tales of Mehmoud’s adventures with “Carpet” sahib. He has done it all. Not only has he shot a leopard, scared a tiger way and wrestled a cobra, but he has almost been kidnapped by a crocodile, chased and poked by a wild boar and haunted by ghosts. Ruskin Bond advises us to take these stories with a pinch of salt though. This we can willfully do, just to relish Ruskin Bond’s picturesque story telling. I have been quite fond of Ruskin Bond’s inimical narration of tales since childhood. His were the books that captivated me the most and I found myself returning to them again and again and again. Sunaina Coelho’s full-colour captivating illustrations are filled with color, depth and detail. They not just ably assist Ruskin Bond in bringing the tales to life, but actually raise the entire book to another level entirely. Enchanting, creative, and original, this was a very pleasurable book for young readers. I would recommend this book to be read out aloud to very young kids. The stories are so simple, engaging and humorous that quite a few guffaws will escape as you keep turning the pages. It is a gem among children’s literature. What I did not like about this book was it was really very short. After wetting your appetite for more stories, it leaves you rather unsatiated. There should have been more stories and each story could have packed a bit more content. This is good enough for very young readers and adults might relish it more for the sake of nostalgia than anything else. But this book might fail to engage older children because of this lack of content. But in spite of this shortcoming, this book still has all it takes to become a gem in children’s literature. Young children’s literature is now replete with anthropomorphic animals, which although valuable in its own way, is undeniably unreal. This book, for a change, introduces animals in their actual fierce form in their natural habitat. 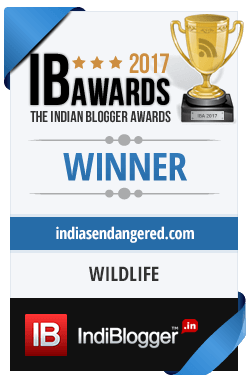 And this, in my opinion, can be an excellent conversation starter not only about wild animals, forests and environment but also about the legendary hunter turned conservationist, Jim Corbett. This potential, to inspire young naturalists, is the most valuable take away from this book.